An inclusive storytime for children ages 3-6 years of all abilities, especially those with special needs. 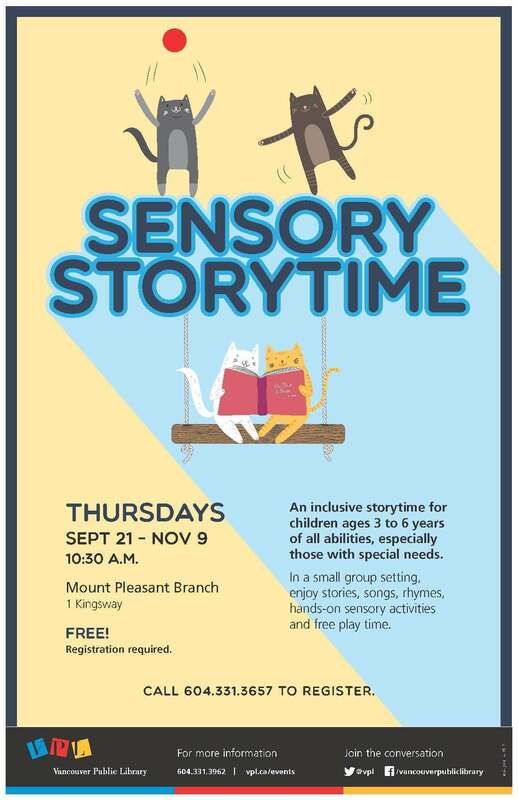 In a small group setting, enjoy stories, songs, rhymes, hands-on sensory activities and free play time. This free program will run for 8 weeks, Thursdays, Sept 21 – Nov 9 from 10:30-11:15. This entry was posted on September 21, 2017 by Events Manager.